We recently purchased a Mercedes GLA at Mercedes of Albuquerque and experienced a phenomenally pleasant interaction with our salesman, Mr. Ray Sisneros who was very responsive and knowledgeable to our overall needs and desires. Mr. Robert Bostwick, the Grneral Manager was also very receptive to our request(s) as was Mr. Leland who has been and as recently as today was very accommodating to our service needs. Ms. Shellie was also excellent in her financial transaction in regards to our purchase. 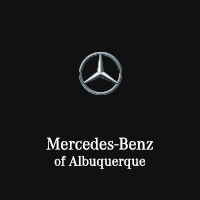 All of the personnel at Mercedes Benz of Albuquerque were and have been tenacious and relentless in affording us a terrific experience. We would and have highly recommended them to family and friends, This is our second purchase with this dealership and would not hesitate to return on our next purchase. In reference to our GLA, we absolutely Iove it. Always a good experience getting my car serviced here. Best experience at any dealership in Albuquerque hands down. I had a very fast and easy experience, purchasing from out of town. Justin was very helpful he got all of my information and an approval in a timely manner! Would definitely recommend, and do business with again. Best car buying experience ever!!! Ray was incredibly helpful in guiding me to a vehicle I would love. I highly recommend this dealership and Ray!! !